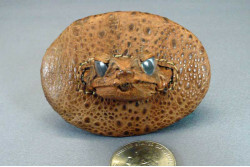 Accessories made from Australian Cane Toad Leather including Hats, Caps, Belts, Jewelry, etc. 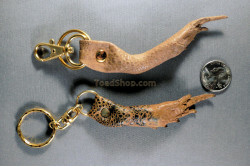 An inexpensive gift idea made of the leg of a real Australian Cane Toad that can bring luck to the o..
Bangles made with stainless steel interior and real Australian Cane Toad leather surface. 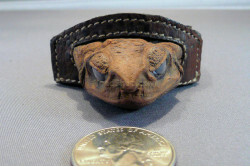 Comes in t..
A belt buckle made of real Cane Toad leather featuring one Cane Toad head. 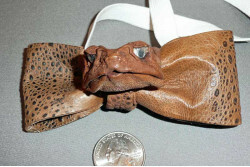 This is just the gift ..
A hat band to allow the wearer to place a Australian Cane Toad head above his brim. 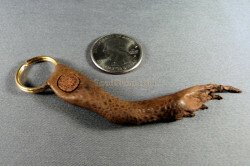 This hat band..
A beautiful leather golf ball case with belt loop featuring the head of an Australian Cane Toad.This..
A Bow Tie made of Australian Cane Toad leather. 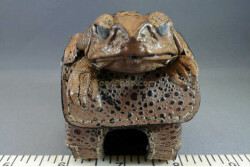 The toad head is removable for more "conservative" e.. 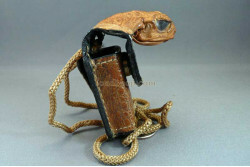 Unique Australian Cane Toad leather case for Zippo lighters. 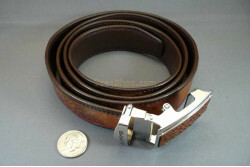 This case is made to hold the classi..
A beautiful leather belt with Italian style auto buckle (no holes). 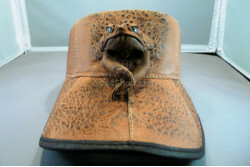 Made with Australian Cane Toad s..
A sun visor made of high quality, durable, Australian Cane Toad leather. 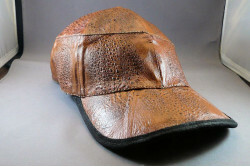 A sun visor made from sk..
Adjustable band Baseball Cap made of Australian Cane Toad skins. 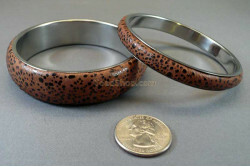 Just the gift for someone who co..